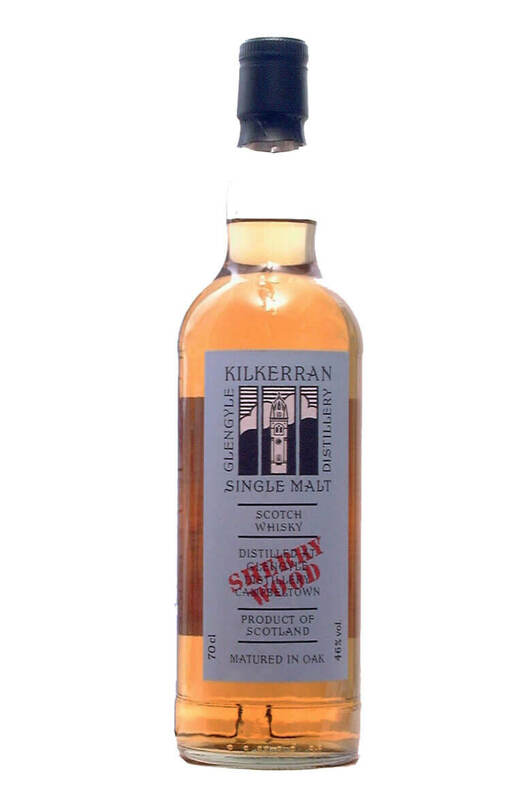 A surprisingly rich and full tasting single malt from Kilkerran's 5th series of works in progress. Distilling started in 2009 at the Glengyle distillery and this is a young whisky with a big heart. Bottled in 2013. Nose Dark chocolate, marzipan, honey covered dates and strawberries build up to a very rich and sweet ginger preserve. A very complex nose that doesnʼt stop developing in the glass. Palate The honey covered dates return on the palate mixed with sultanas and black treacle fudge. Wholesome and tasty as a warm, toasted cinnamon and raisin bagel with real butter melting on top. Finish is well balanced and round presence of dark chocolate but surprisingly no evidence of peat. Types of Barrel used for Aging 100% Sherry cask ageing. A unique tasting single malt, described as a work in progress because it has not yet reached what..